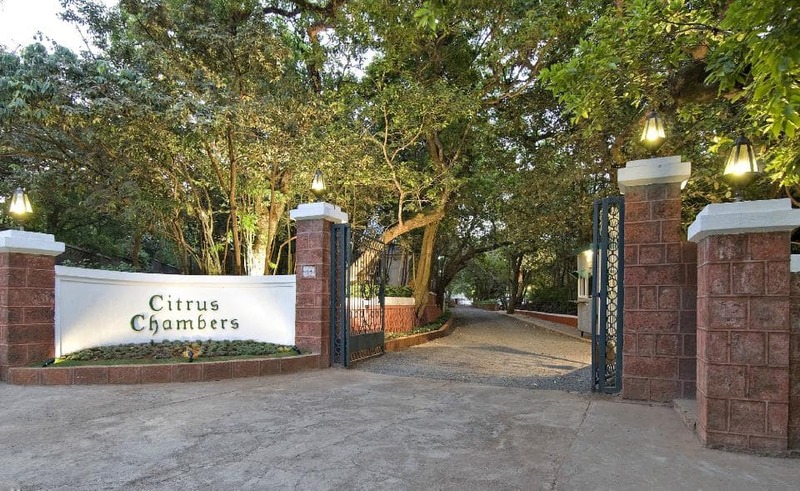 Citrus Chambers Mahabaleshwar stands majestically and elegantly with rich architectural designs and elegant d?cor amid Mahabaleshwar Market, near Adam Chowk. 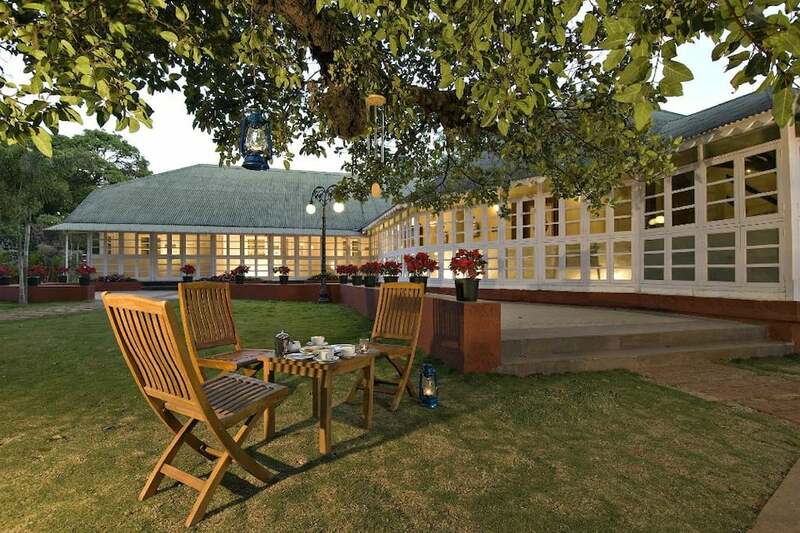 Dwell in its English villas, a world-class spa, charming nature views and vintage restaurant for an unbeatable travel experience. 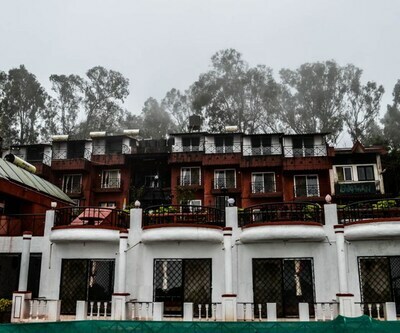 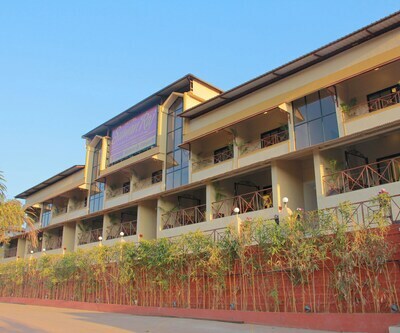 The luxurious hotel has spa, restaurant, bar and playground. 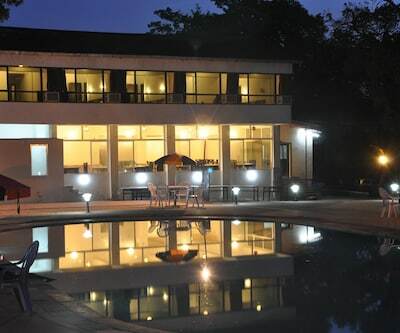 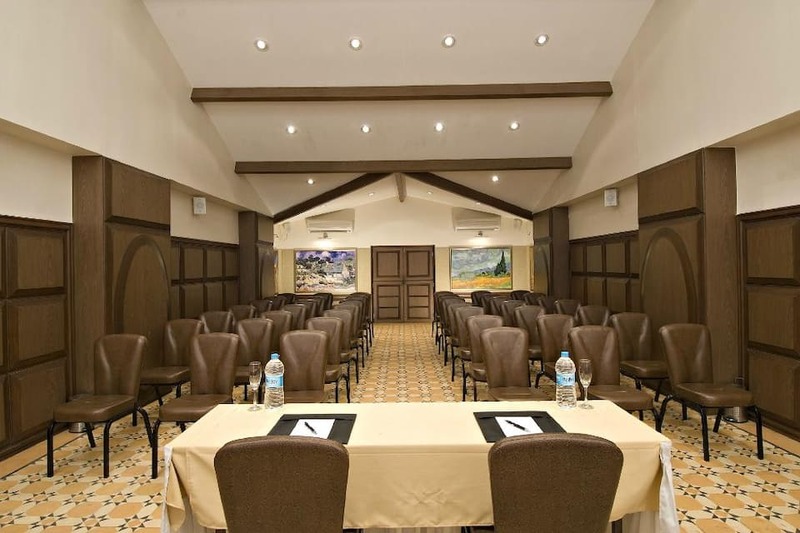 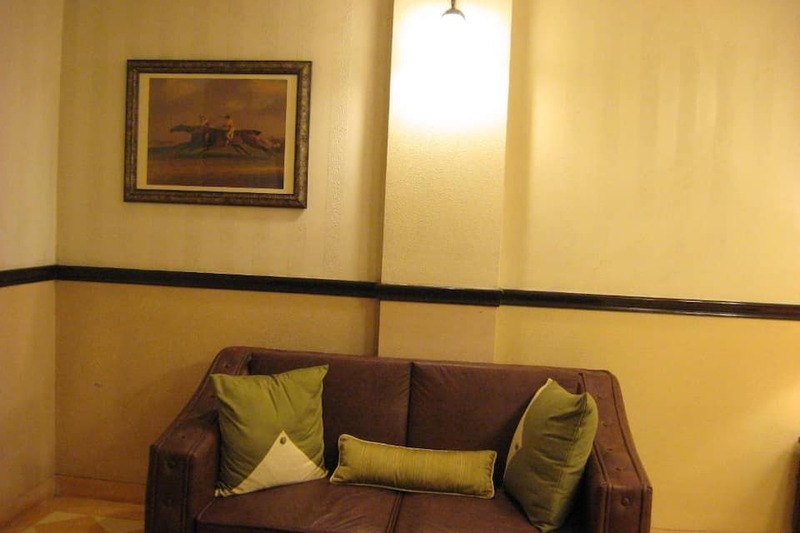 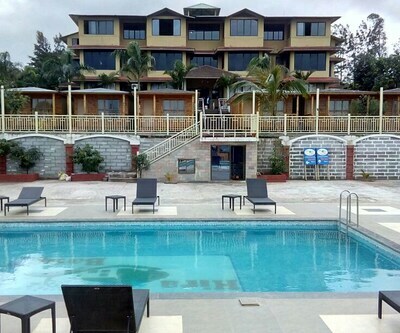 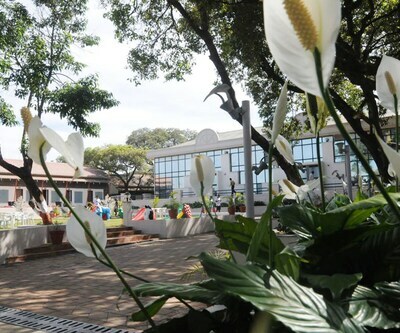 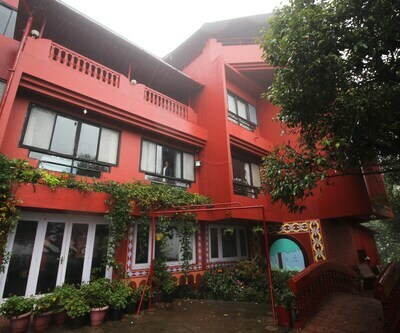 It offers well-facilitated business and meeting centres and event venues with modern equipment and free Wi-Fi. 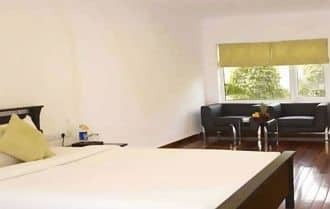 Other services include 24-hour front desk, doctor on call, transportation services, currency exchange, 3 min check-in, free parking, phone service and catering services. 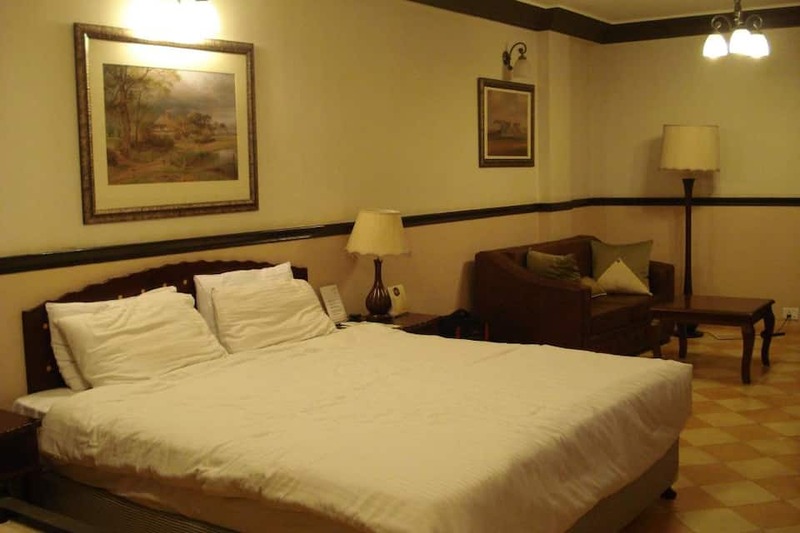 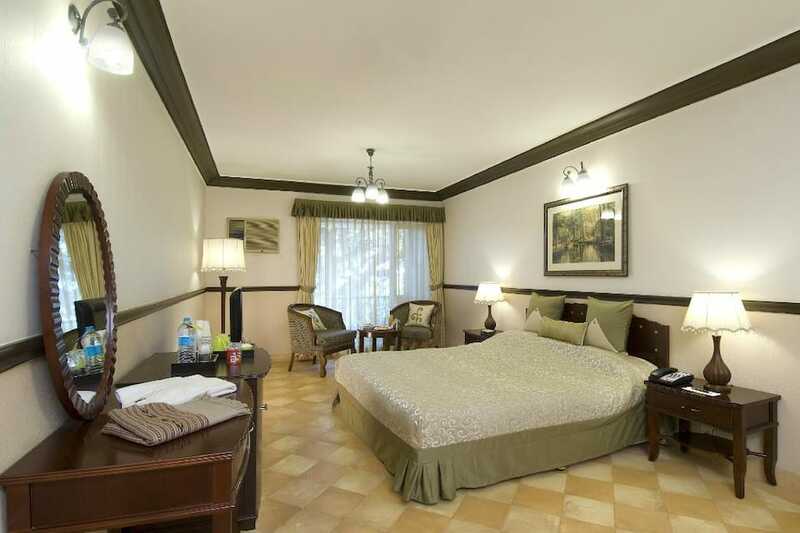 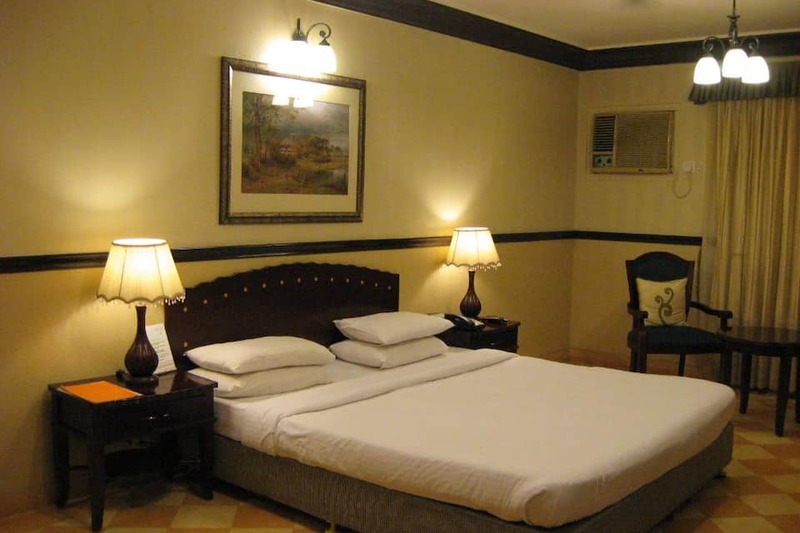 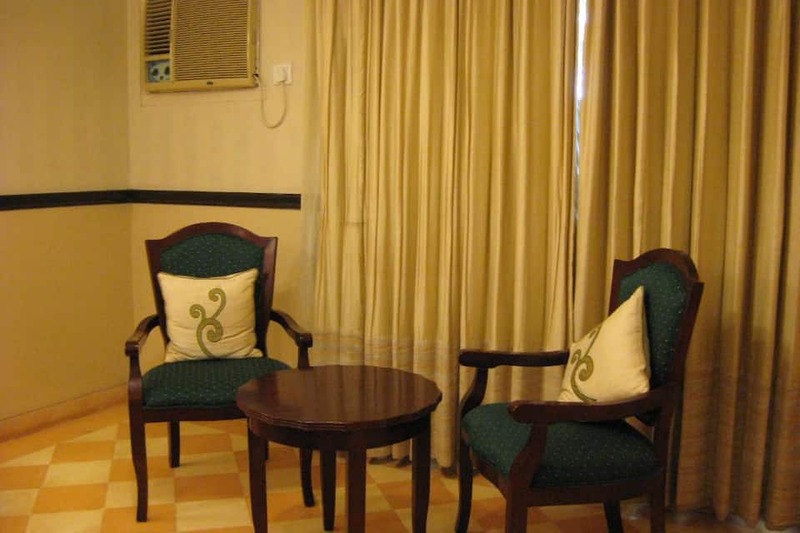 The contemporary and elegant hotel offers 3 kinds of rooms namely: Superior, Deluxe and Suite. 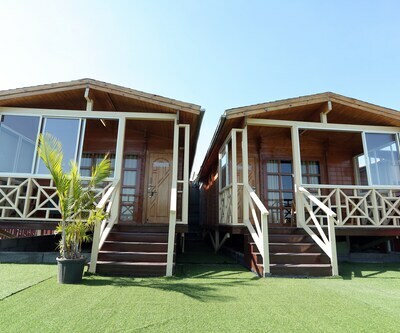 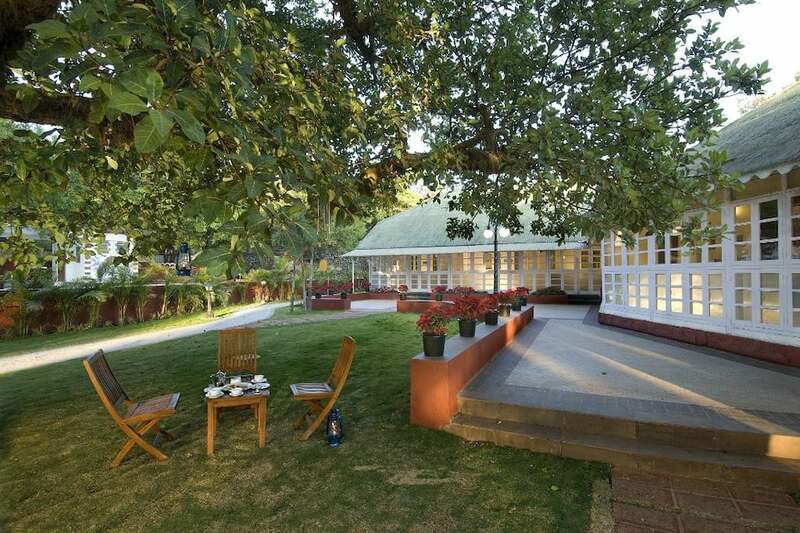 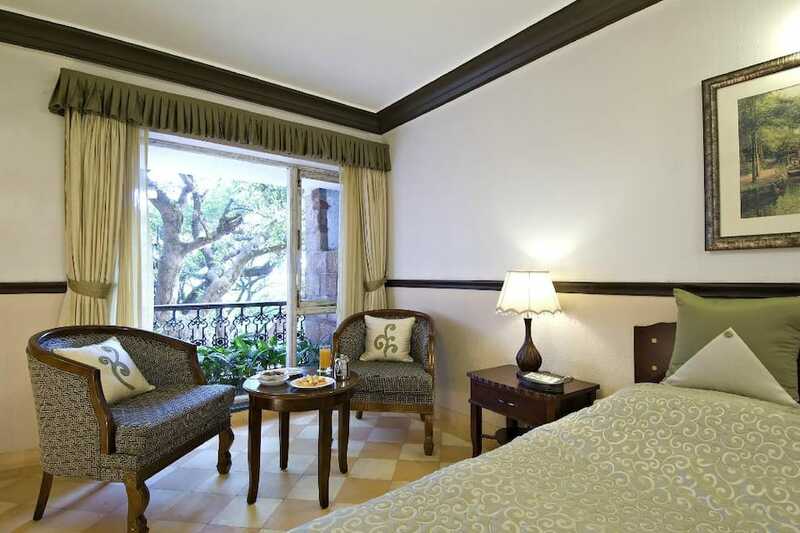 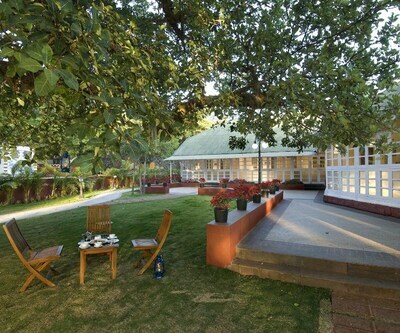 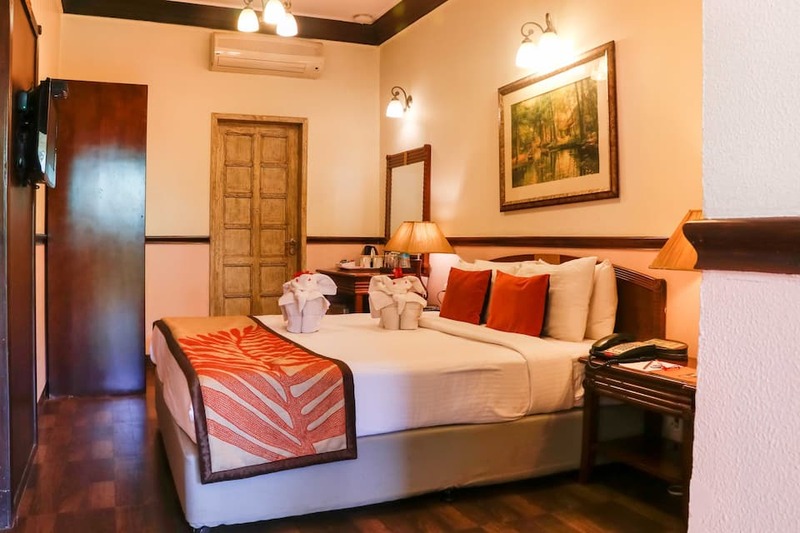 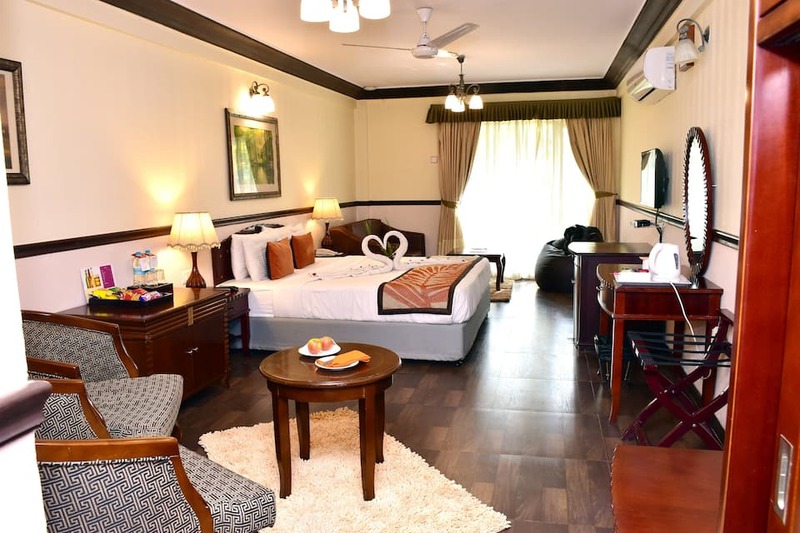 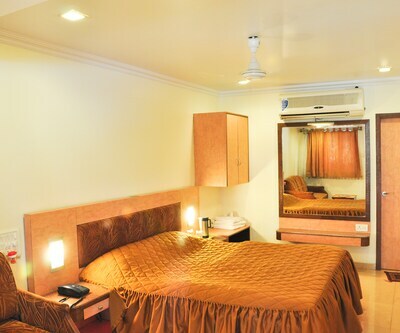 All rooms are spacious, attractively designed and offer enchanting views. 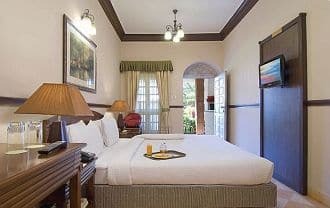 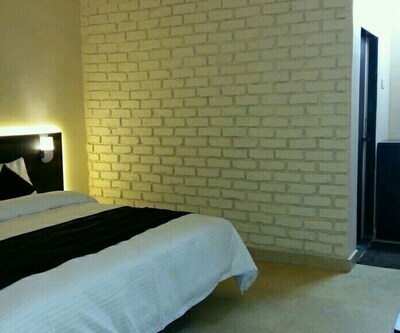 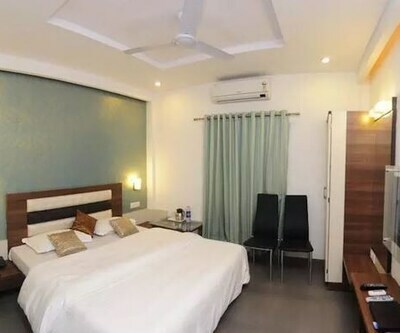 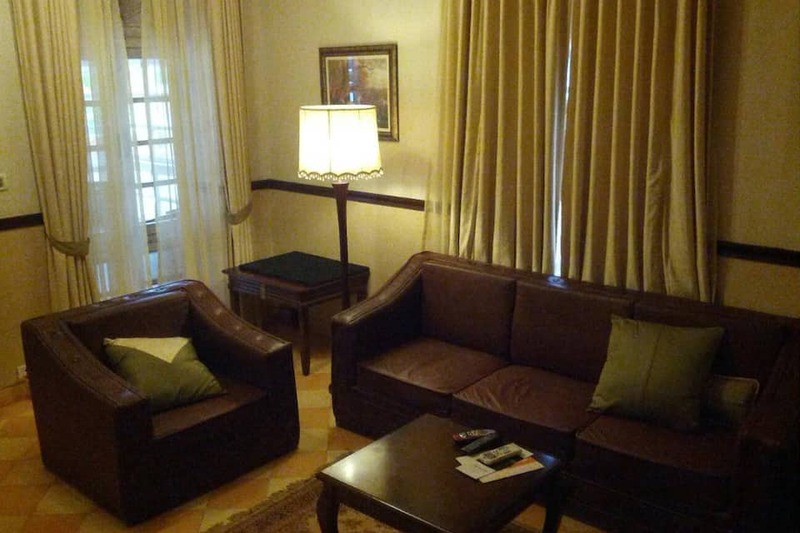 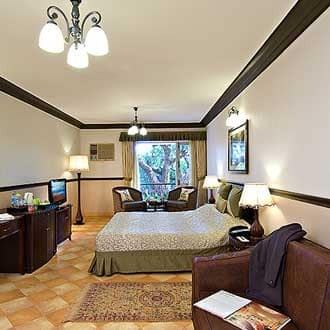 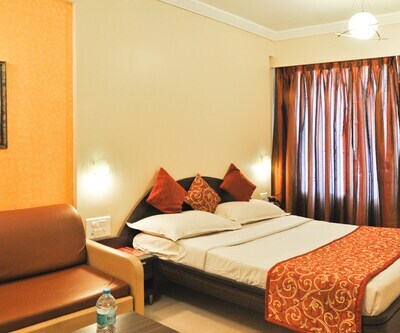 Some in-room facilities include free Wi-Fi, air conditioning, LCD TV, minibar, 24/7 room service, and laundry service. 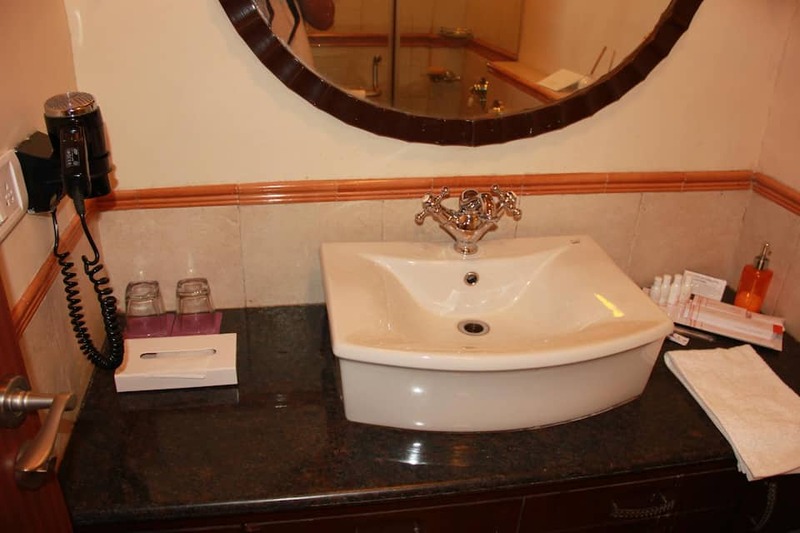 The en suite bathroom come with round-the-clock hot water, and the suites even offer Jacuzzi. 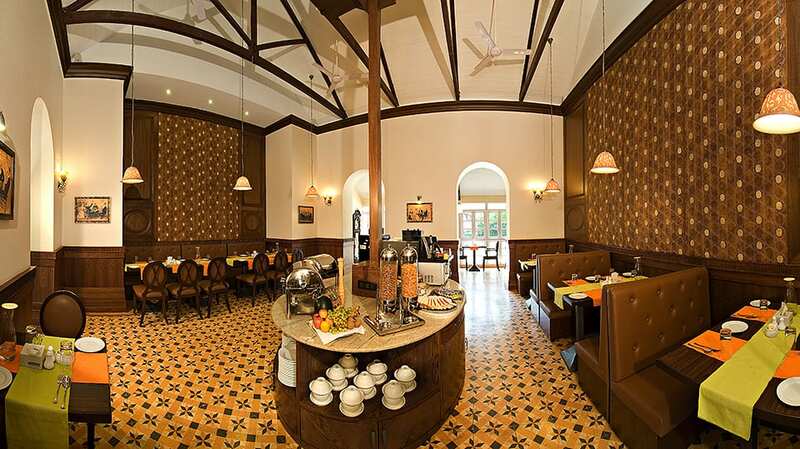 Biso is the in-house restaurant, a 24-hour coffee shop coupled with a fine-dine restaurant that offers authentic and mouth-watering Indian as well as Mediterranean cuisine. 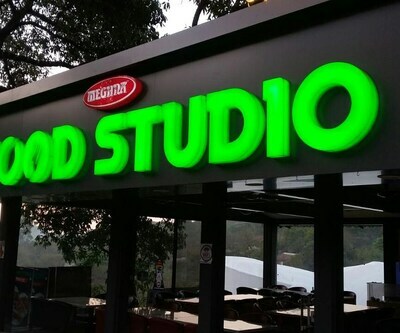 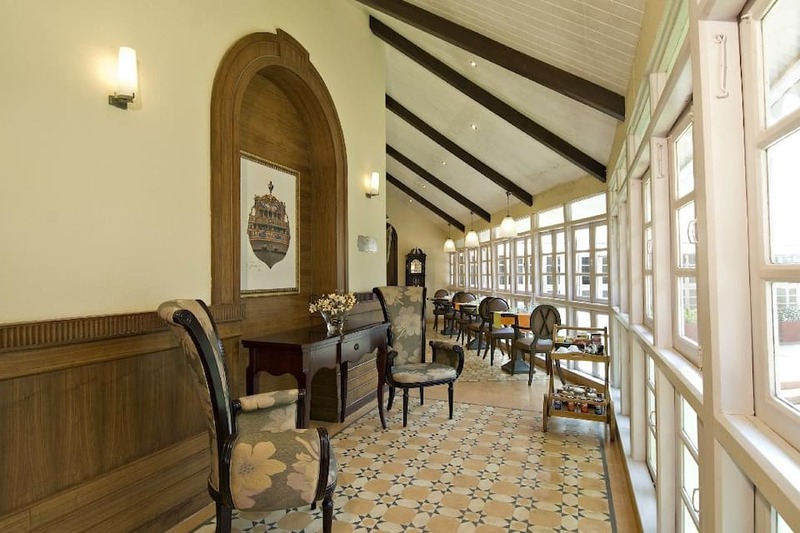 Also, enjoy a selection of beverages here and taste its famous coffee before you leave. 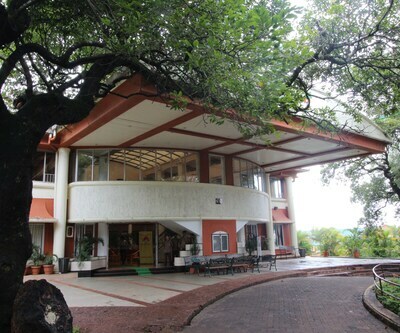 Nearby sightseeing places include Connaught Peak (5 km), Lingmala Waterfall (6 km), Mahabaleshwar Temple (7 km), Elphinstone Point (11 km), Elephant s Head Point (11 km) and Arthur Seat (13 km). 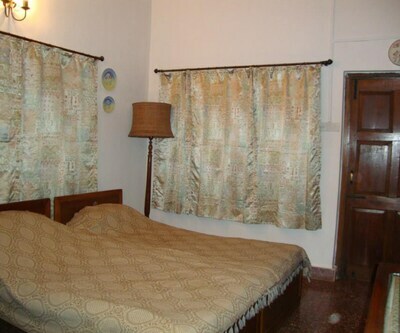 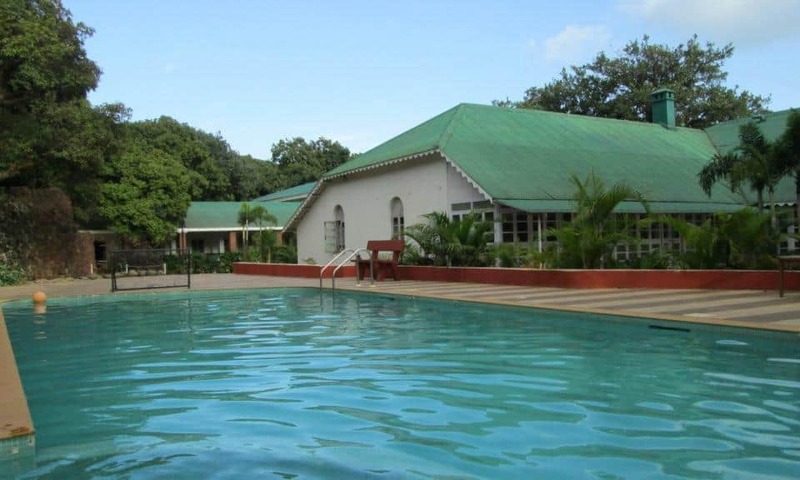 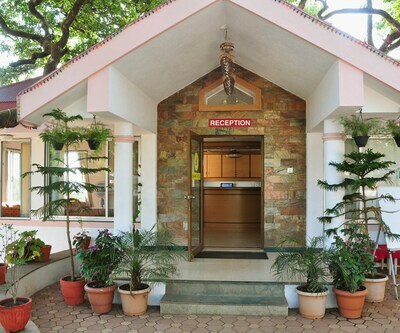 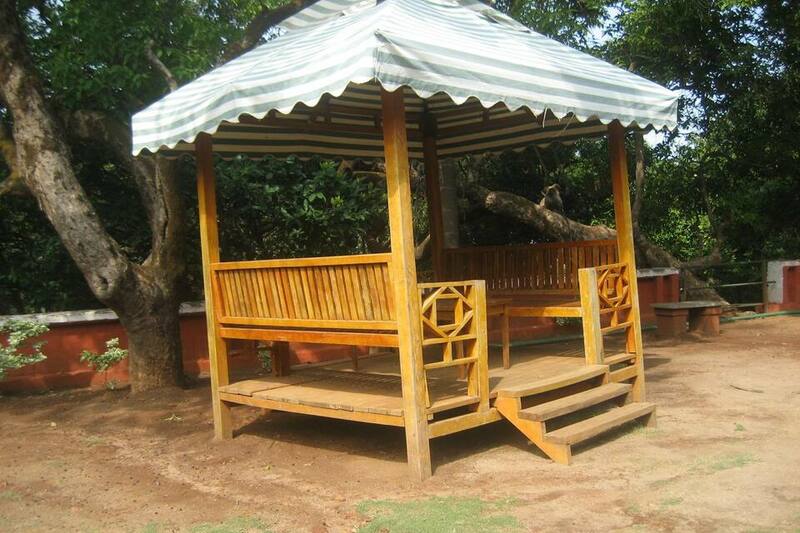 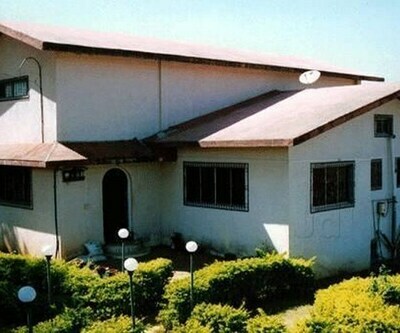 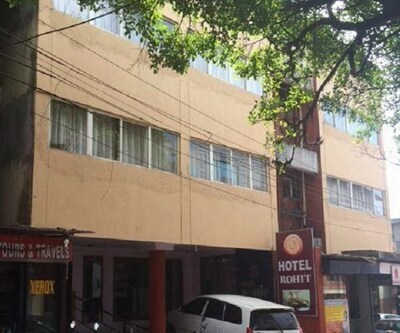 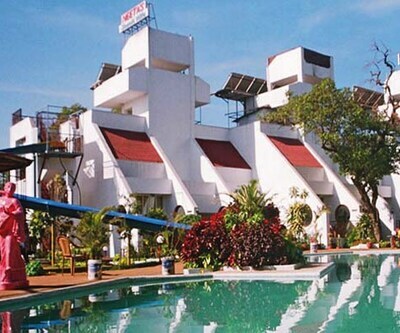 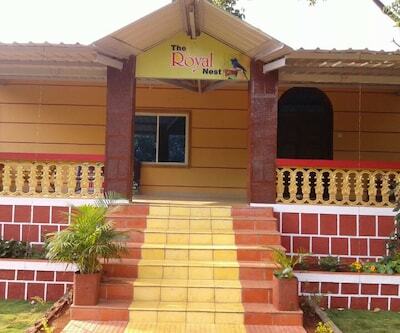 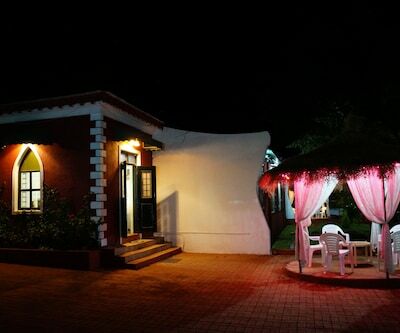 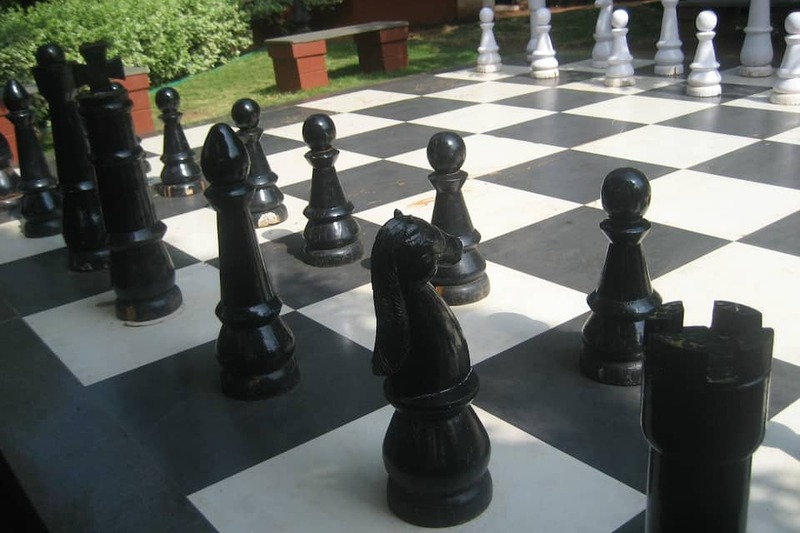 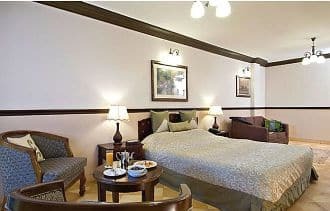 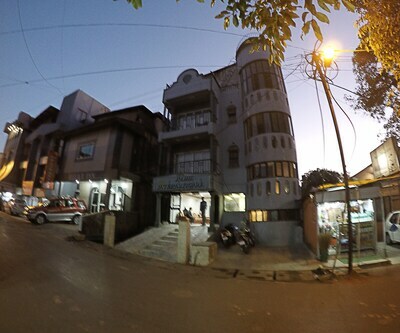 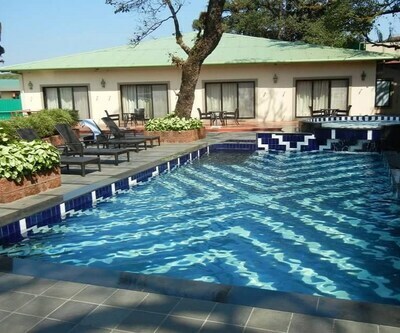 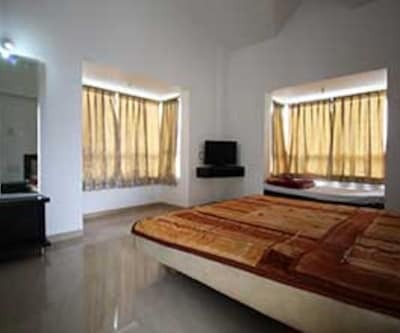 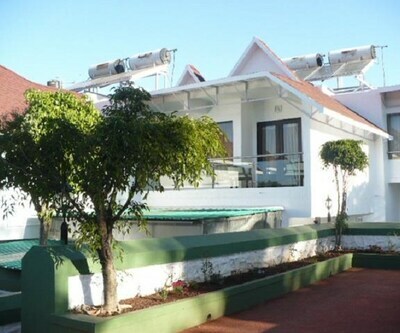 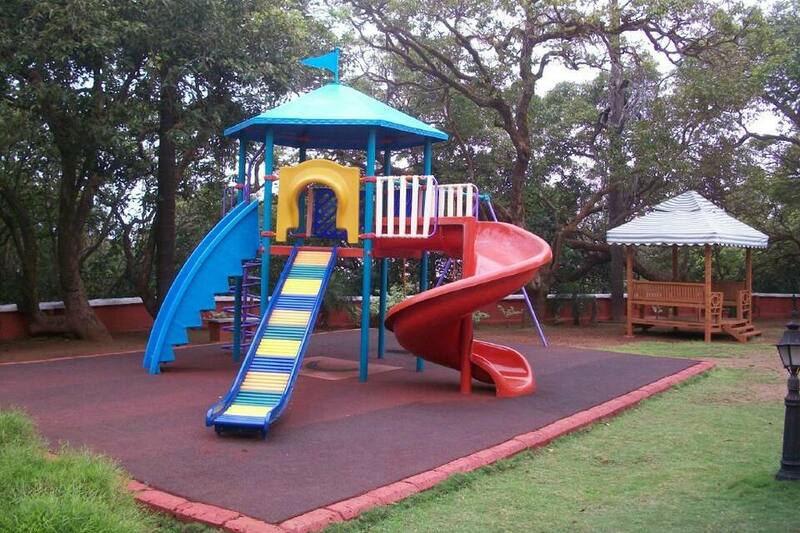 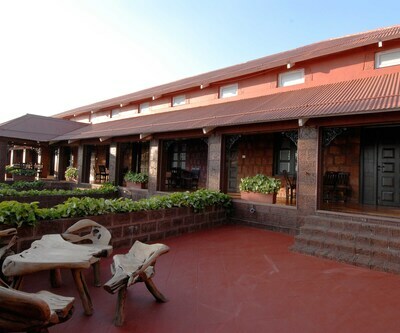 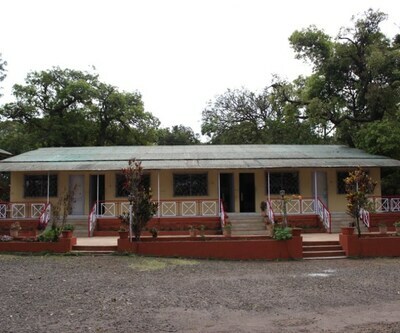 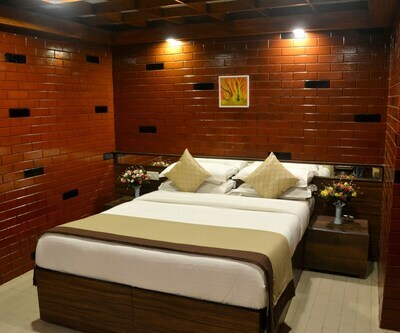 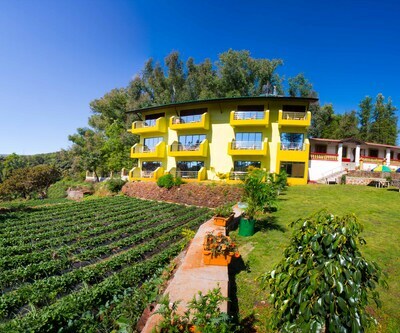 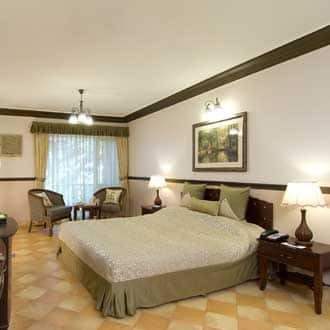 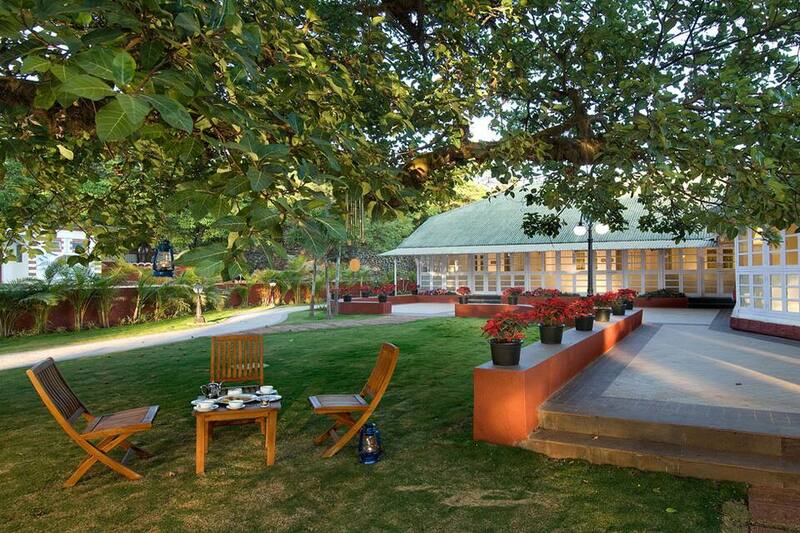 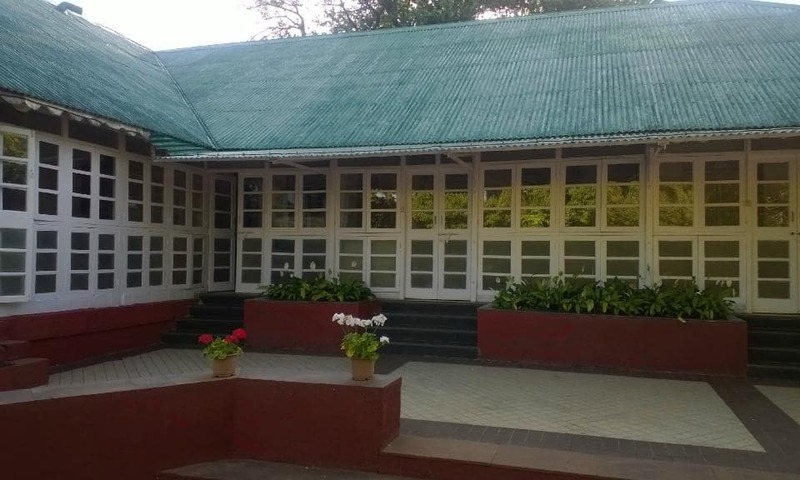 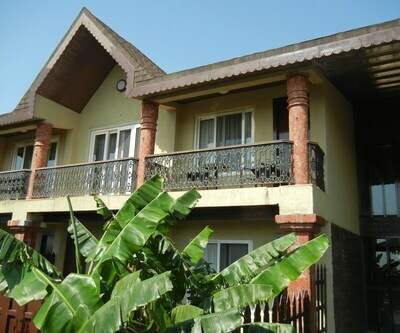 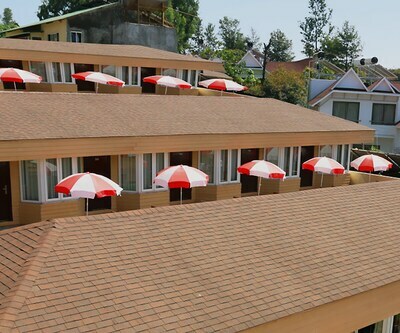 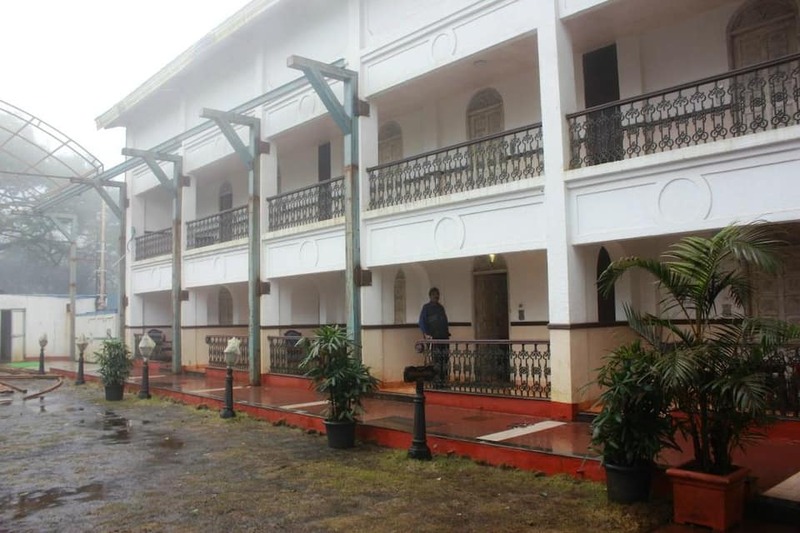 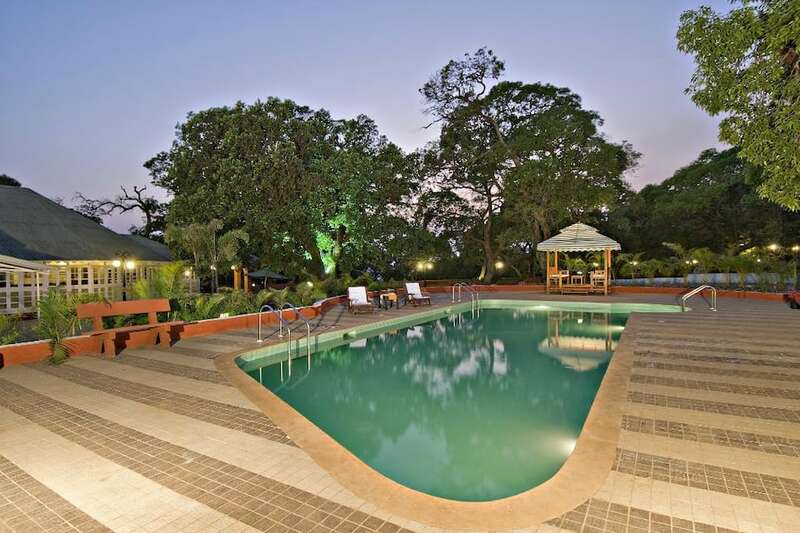 The hotel is 1 km from Mahabaleshwar Bus Stand, 63 Km from Satara Station and 130 Km from Pune Airport. 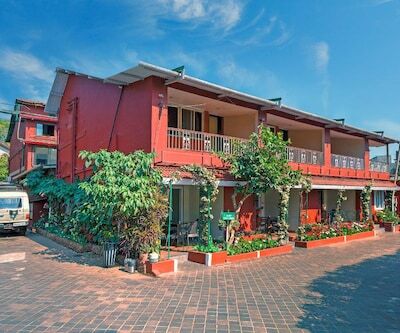 Mahabaleshwar city centre is within 1 km from the hotel.